Barney Stinson: How I Met Your Mother has often been considered the Aughts’ heir to Friends, what with a cast of twentysomethings who live in New York, date each other, and banter wittily. 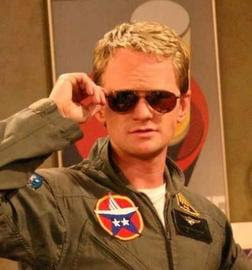 What separates HIMYM from ‘90s analogue is the character of Barney, played by Neil Patrick Harris in one of the decade’s breakout performances. * As much as we love Jason Segel—and we love Jason Segel—it’s the figure of Barney that prevents the show from constantly resorting to saccharine morals about relationships (well, at least until this season). It’s Barney who is the only really original character on HIMYM, and the one who will be remembered, for suiting up, for conference calls, for the Bro Code. *And a historically significant one, mind you: As New York mentioned in its cover story a few months ago, Harris may be on the brink of becoming the first openly gay actor to be a leading man. In short, he is legen-…wait for it…and I hope you’re not lactose intolerant because the second half of that word is…-dary. Dexter Morgan: Killing people on television used to be taboo, so centering an entire series on a serial killer seems like it should be a risky proposition. Oddly, though, the danger with Dexter has always been making its protagonist too likable, and not too dark. This is a credit to Michael C. Hall, who does such a good job selling the robotic, unsympathetic worldview of Dexter Morgan as nothing more than a cover. Despite Dexter’s own declarations that he is an inhuman, unfeeling monster, he comes off as benevolent and sympathetic. At the same time, Hall is not afraid to delve into Dexter’s darker aspects when the story calls for it, reminding the audience that this is not a morally pristine character. Jim Halpert: We’ve already acknowledged that we’re not the biggest fans of The Office—at least not the American version—here at NPI. But we’re not so stubborn as to overlook the adaptation’s biggest improvement over the initial: the character of Jim. * Jim Halpert, in his pursuit of Pam Beasley, became the Aughts’ Ross Geller, except that he had a relatable job (really? a paleontologist that lives in NYC? ), a sense of humor, and we actually wanted him to get the girl. Jim is also able to avoid being an unrealistically good guy, thanks to his poor work ethic, lack of adventurousness, and somewhat unexplained inability to make friends outside of the office. He is this decade’s everyman, and we’re happy to have him. Plus, nobody does more with facial expressions. *Outside of the name change, of course. **My remembrance of Ross mainly entails him standing forlornly outside in the rain with a puppydog expression on his face—oddly enough, this was actually a scene from The Wonder Years, in which David Schwimmer played Karen’s boyfriend. John Locke: The “main character” of Lost, if it has one, has always been Jack. 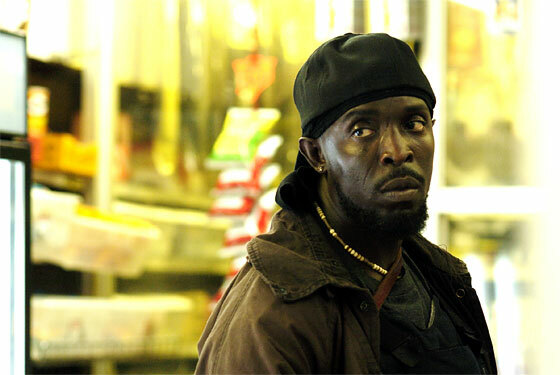 And the most intriguing character, over the last few seasons, has been Ben. But Locke is certainly the most memorable, and probably the most sympathetic, character of the show. His faith and his willingness to accept whatever journey the Island leads him on make him both strong-willed and incredibly vulnerable. Terry O’Quinn’s work in the role has taken what is essentially a contradictory personality—someone who believes in both his own great destiny and his own inadequacy—into one of the compelling, personable, and enigmatic characters on television. Chloe’s “this” could mean just about anything; what can’t Jack Bauer do? He has saved the world on seven separate occasions, in the process losing his wife, shoving a towel down a man’s throat, murdering the head of his own counter-terrorism unit, dying and rising, escaping from Chinese prison, and capturing the president in a massive web of lies, among other things. This isn’t to say that Jack Bauer—it’s impossible to shorten his name—is a great television character; he’s far too unrealistic to qualify for that. But he does remain one of the Aughts’ most memorable creations: a character who could do everything the Internet claimed Chuck Norris could, and who would always find out who you were working for. Don Draper: Jon Hamm’s task in playing Don Draper is essentially to play a man playing another man. This inherent wrinkle lends enough complexity to Draper’s character, but Hamm’s skill at playing this taciturn protagonist takes it even further. The mystery behind Draper’s character is only rarely explicitly dealt with on the show, but Hamm can convey an ocean of contradictions without any dialogue. 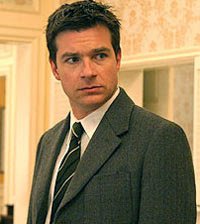 Hamm also plays Draper with natural ease in situations from his confident pitches, to his vulnerable confessions, to his instinctive cruelty and anger; this wide range of emotions and abilities in Draper, played so skillfully by Hamm, deepens the mystery of the “real Don Draper” without ever easily solving it. Michael Bluth: Much like The Wire, Arrested Development offers no less than a half-dozen transcendent characters. But, as hilarious and scene-stealing as virtually everyone on the show can be, the decade’s greatest comedy couldn’t operate without its heart and moral center, Michael. That’s the case right from the series’ opening lines—“This is Michael Bluth. He’s a good man”—which establish the basic premise the series is built on: For us to care about what happens to the Bluth family and to pay any attention to the plot, we have to care about Michael. (He’s the only likable one.) Jason Bateman rivals Krasinski in his ability to articulate the absurdity around him with a facial expression, and he perfectly plays the straight man that such an over-the-top show needed to remain even remotely grounded. He is our entry point to an otherwise unrelatable family. “We need Michael,” his mother, Lucille, says at the end of the pilot; indeed, without him, the show and the Bluth family never would have survived. 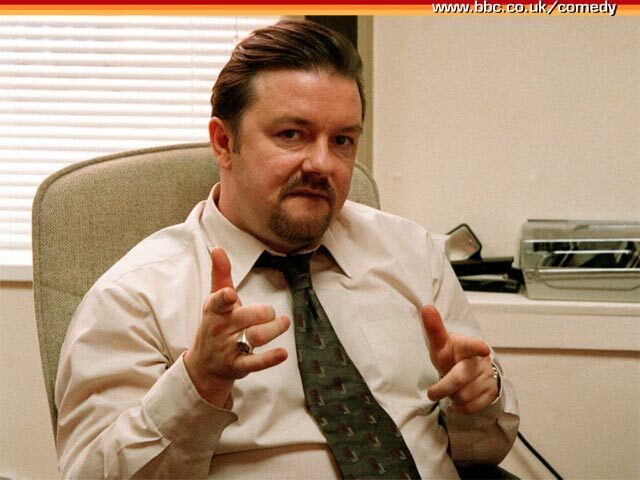 David Brent: Ricky Gervais could do 1,000 things between now and the end of his career, and he would probably still always be remembered as the boss from The Office. Before Steve Carell brought Brent to America and turned him into Michael Scott (and ultimately killed him and replaced with a clown), Gervais turned Brent into perhaps the funniest character ever on television. 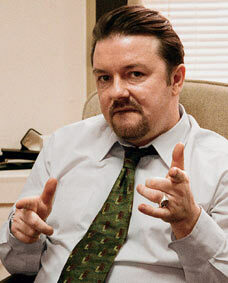 For all of Brent’s lines (and his songs), it’s really Gervais’ mastery of physical comedy that defined the character: From big things like his famous dance and his motivational speech, to more subtle—but perhaps funnier—moments that come from small mannerisms and facial expressions, Gervais can get laughs without saying anything at all. I would just like to go on record in saying that I do not necessarily agree that John Krasinki/Jim is a big improvement over Martin Freeman/Tim. I’m protesting this list because of the unconscionable exclusion of Walter White. I realize he made “honorable mention,” but John S didn’t even see season 2 and I know you probably didn’t even see season 1!